…and business is booming. 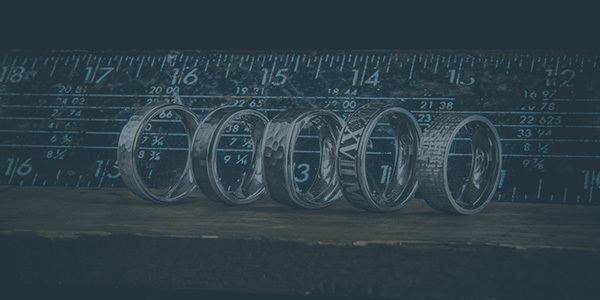 These carbide wedding bands aren't just changing the face of men's jewelry; they're changing the meaning of "heavy-duty." If you want an attractive ring that's not going to mess around; if you want a ring that is going to tear through life all day, every day with nary a scratch; if you want a ring that can't be stopped; then this carbide men's wedding band is going to be your go-to guy for getting the job done. Carbide is one of the hardest materials in the world, with a Mohs hardness that clocks in at a jaw-dropping 9 on the scale (out of a possible 10, if you were wondering). What does that mean, exactly? Well, you can read about it (it's cool, we'll wait), but in short it means you are not going to encounter anything on an everyday basis that is capable of scratching up your ring. Seriously, it's twice as strong as steel and nearly as tough as a diamond, so it's sure to withstand just about anything you throw at it. The super-strength of this material may seem like the headline, but the design is where this carbide men's wedding band really shines. Each ring measures 8mm wide, and features perfectly polished edges and a raised center. This unique shape helps to highlight and emphasize the beautiful satin finish along the center of the band. This adds a slightly rugged look and adds a stunning contrast next to the gleaming, polished edges. We asked one of our employees to describe this style, and the first word she came back with was "intriguing." We couldn't have said it better. This ring has got serious style, serious cool, and a nearly indestructible base, but there's just something totally intriguing about it. We can't get enough of this one, and we don't think you will, either. We custom build our carbide wedding bands for each customer, which means we can do yours in just about any size you could possibly want. We can also produce this ring in 1/4 sizes or make other custom modifications upon request, so don't hesitate to ask about that special feature you have in mind. 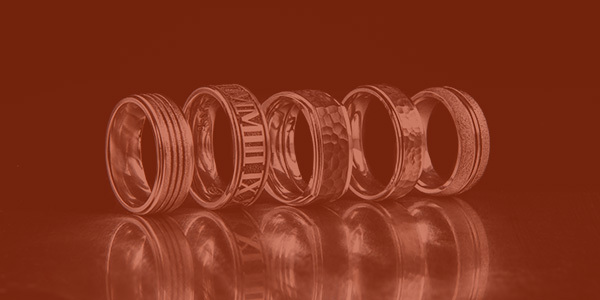 Optional personalized engraving is available on the inner diameter of the ring as add-on feature. Purchase of this ring includes free ground shipping to anywhere in the U.S.
See more of the very best tungsten rings at Titanium-Buzz.